The highest grossing military concession, the Boer War. to safely reenact the battle. They also employed 500 horses, mules and oxen in a backdrop of Swazis, Boer, Bushman, Matabele, and Zulu lands. 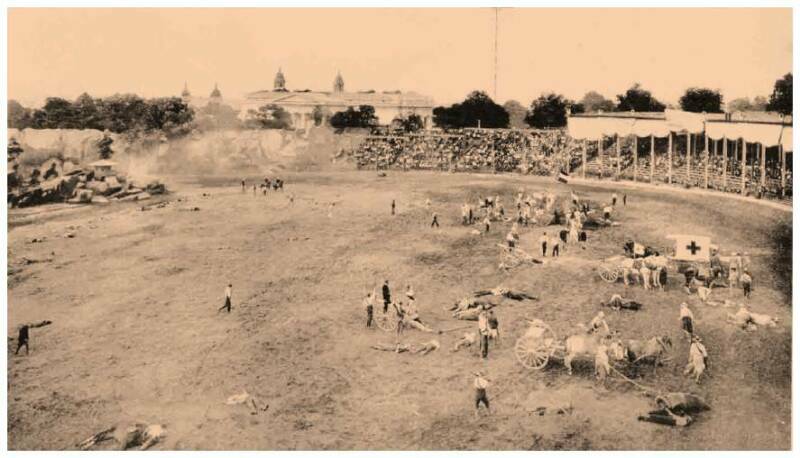 Besides the battle,the show included a parade, sporting events, and horse racing. In total, three battles were showcased, including the Battle of Colenso. In reality, the Boer war was really the second of it's kind, the conflict was also called- The Second War of independence and the The South African War. 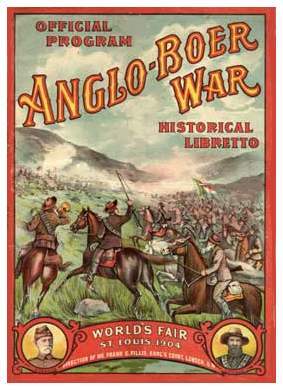 The war consisted of the British Empire against the independent six colonies of Australia, Canada and New Zealand and the two independent Boer republics of the Orange Free State and the South African Republic (Transvaal Republic). The idea for the show was conceived by one Captain A. W. Lewis. General Piet Cronje, the actual Boer military leader, commanded the Boer veterans against the British troops in the reenactment. A highlight of the proceedings was General DeWet's escape on horseback, jumping off a 'cliff' into a river. This was performed by an actor who made 16 dollars a month. Private events were held at this concession. Though most of The Pike, and especially the Palaces and exhibits had very little problems in terms of criminal activity, The Pike's Boer War exhibit was the backdrop for two above-the-norm instances within a day of each other. revolver went off, killing Backhouse. Chriss was then badly beaten by the angry ex-soldiers. The next night at 8:30, two masked bandits held up the Fair's miniature train just outside the entrance to the Boer War attraction. Armed with revolvers, the bandits stopped the train as it traveled along The Pike. Though no one was injured, three passengers were robbed of money and valuables worth about 100 dollars (they were later reimbursed by the owner of the railroad). Horses were trained to fall (as if they were shot), and limp to heighten the reality of the battle. 600 Soldiers and 500 horses used.